I don't know much about this model. I don't even know if it was a kit, or scratch built. I bought it at auction. 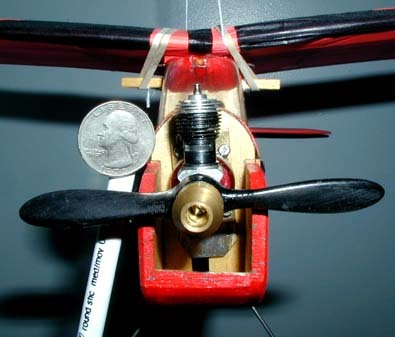 It is a rudder only R/C plane. The wing span is 32". 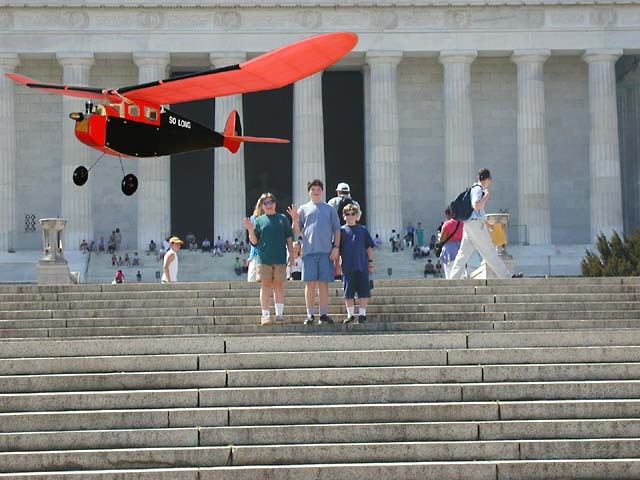 Here we are waving so long to So Long as it flys away from the Lincoln Memorial. Obviously this picture is doctored. 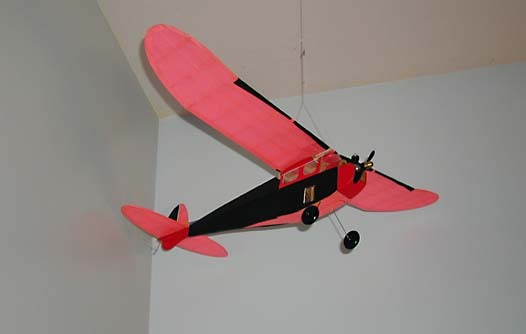 I have not flown this plane, and I have no plans to do so. So Long has a Cox .01ci motor which the previous owner assures me runs quite well. Here is So Long doing what I bought it for; looking good while hanging over my desk.